Rouleur back in Lake Washington with new beams. In preparation for competing in the Sound Rower’s “Sausage Pull” race tomorrow, Matt, Tim, and Scott assembled Rouleur yesterday at Sail Sandpoint and tested out the alignment of the new beams Matt constructed. 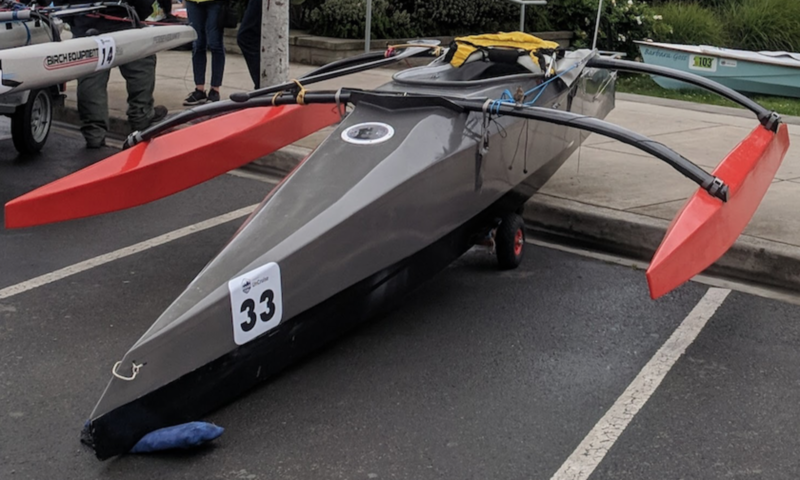 This was the first time since the 2016 Race to Alaska that the boat had been floated, and this race will be an interesting opportunity to get some speed data with the boat lightly loaded. Matt will attempt the full course going counter-clockwise around Mercer Island.